ANCHORAGE, AK (KTRK) -- Two men are facing charges accused of stealing 80 frozen pizzas from a grocery store warehouse. Authorities were tipped off to the their whereabouts when the men tried to resell the stolen pizza to on-duty officers. John Koozaata, 29, and Lewis Oozeva, 21, broke into the Gambell Native Store warehouse early Sunday morning, KTUU-TV reports. Once inside officials say the pair stole five cases of frozen pizza valued at about $1,100. 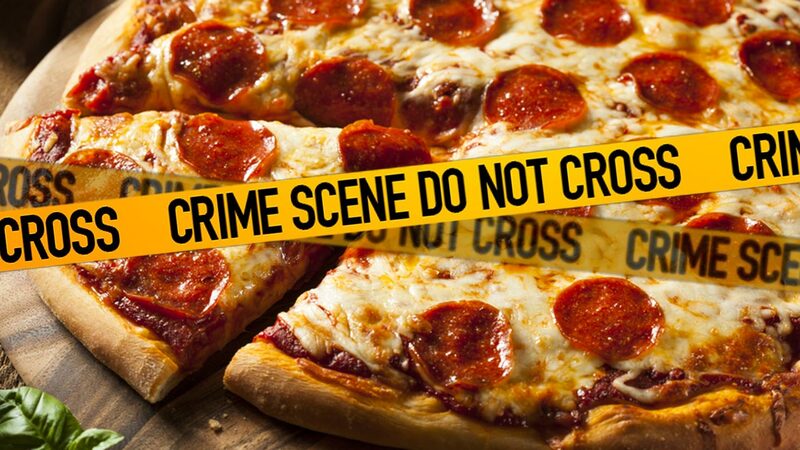 The two suspects then tried to make a profit of their stolen pizzas by attempting to sell them to police officers. "Village police officers received their strongest investigative lead when Koozaata and Oozeva called the Gambell Police Department, attempting to sell the pizzas to the on-duty police officers," troopers said. The two admitted to eating five of the pizzas, KTVA-TV reports. The other 75 have been recovered. Both men were arrested and charged with second degree theft and second degree burglary.